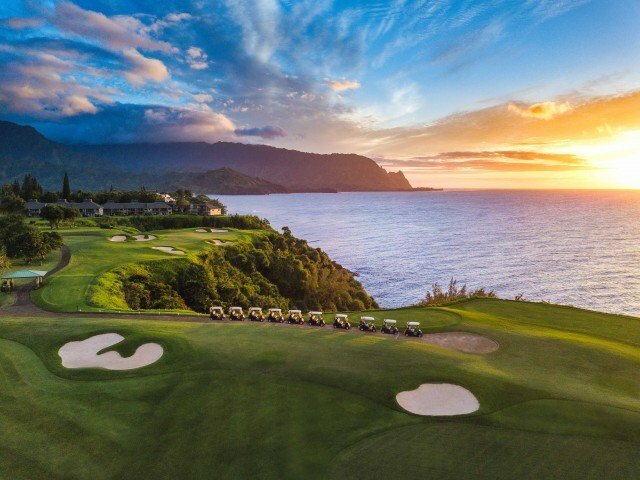 If you are visiting Kauai, there is no better place to tee up than the Princeville Makai Golf Course. This video will surely get you in the mood. As you can see from the video, the Princeville Makai Golf Course wraps in and out of the Princeville Resort Community. The views of the ocean, mountains and Hanalei Bay are spectacular. Besides the golfing activities I mentioned in a previous blog, there are now lessons available with the golf pro, Andrew Schmidt. North Shore residents are extremely proud of their Princeville Library, built 19 years ago. This fully stocked, air-conditioned source for books is perfect for borrowing adult and children’s books while on vacation. A large magazine section and DVD rentals are an added bonus. Computer access and wifi make this an important resource for visitors and locals alike. The Princeville Library is a perfect place to take your children to pick out books to read while visiting the Garden Island. This saves you from having to pack and carry heavy books when traveling. If rain is keeping you from the beach, this quiet sanctuary may be just the spot to while away a few hours. Friends of the North Shore Library at Princeville is the local affiliate of Friends of the Library of Hawaii, an active group of library users and advocates which for years has supported Hawaii’s public libraries through funding for programs, books and supplemental materials. Four times a year this group offers books, puzzles, cds and dvds for sale at very reasonable prices. Book sales are held on the FIRST Saturday of March, June, September (first Sat. after labor day), and December. The selection is huge and is held in the back room of the library. If you are on island for one of these dates, do not miss it! 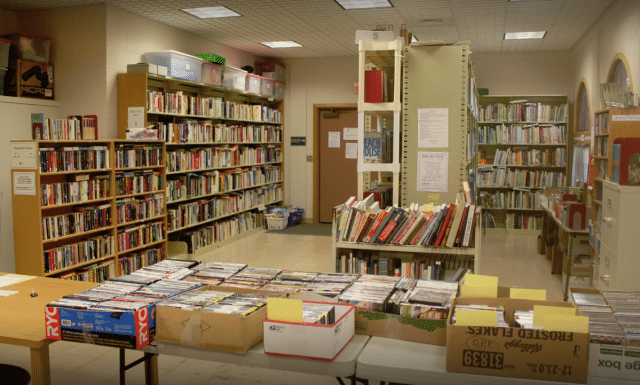 The Princeville Library sale starts at 9:00 for members and 10:00 for nonmembers. 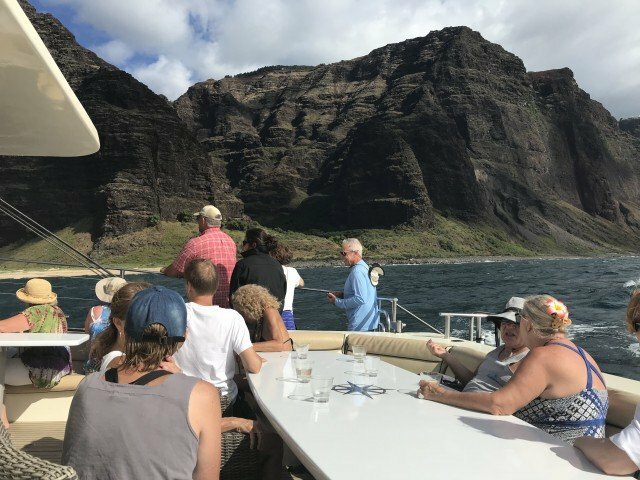 I had heard that Captain Andy’s Na Pali Coast Sunset Dinner Sail is a great way to celebrate any occasion. So Tom and I decided to give it a go for our wedding anniversary. We had been on a two hour sunset sail off the coast of Poipu with Captain Andy’s many years ago but this was a four hour excursion and it went down the Na Pali coast. There are three of Andy’s boats that go down the Na Pali coast for a sunset dinner cruise. The two custom 65′ Star Class luxury catamarans are the best. We were on the Southern Star which is a sister ship to the Northern Star (pictured above). There were about 50 people on board along with the crew who were ready to serve. There is seating in the front of the boat, inside a cabin and in the rear. In order to avoid a lot of wind and water spray we found some extremely comfortable seats around a table in the back of the boat. Last week I ran across an article by Jefferson Graham in the USA Today newspaper called, “Photo Tour: Kauai, Hawaii’s Magical Garden Island.” Apparently Mr. Graham has a blog where he shares photo tips from all over the world. Sounds to me like a pretty good excuse to travel! 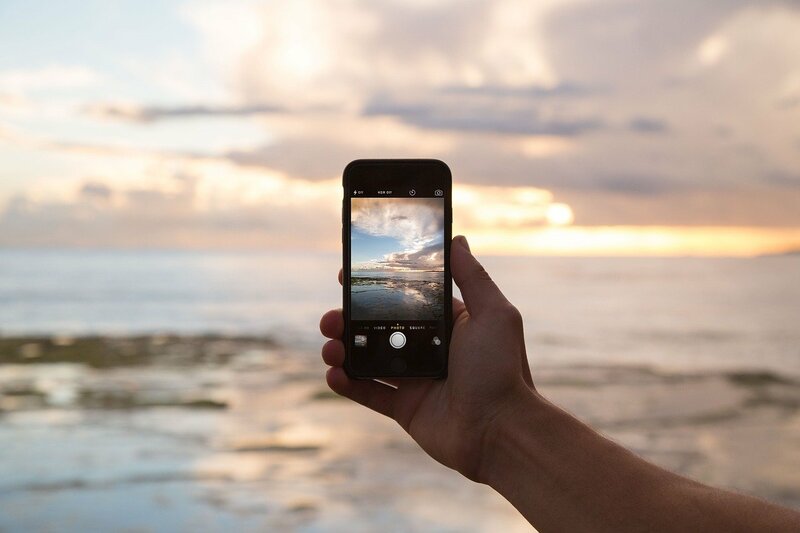 Within the article there is a video called “Photowalk” which shows where and how to get the best shots on Kauai. Despite the fact that he mispronounced Na Pali, I thought it was worth sharing. 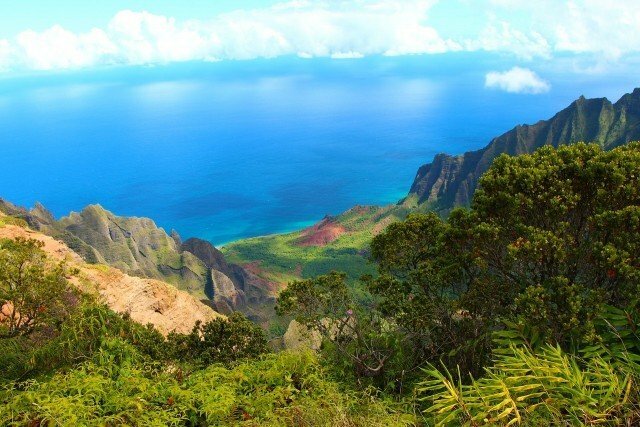 Of all the reasons to love Kauai, Mr. Graham narrowed it down to five. Lots of visitors who come to Kauai want to hike to a waterfall and I have just the one for you. In fact, on this hike you get two falls for the price of one hike and it is free. Ho’opi’i Falls is on the Kapa’a Stream. 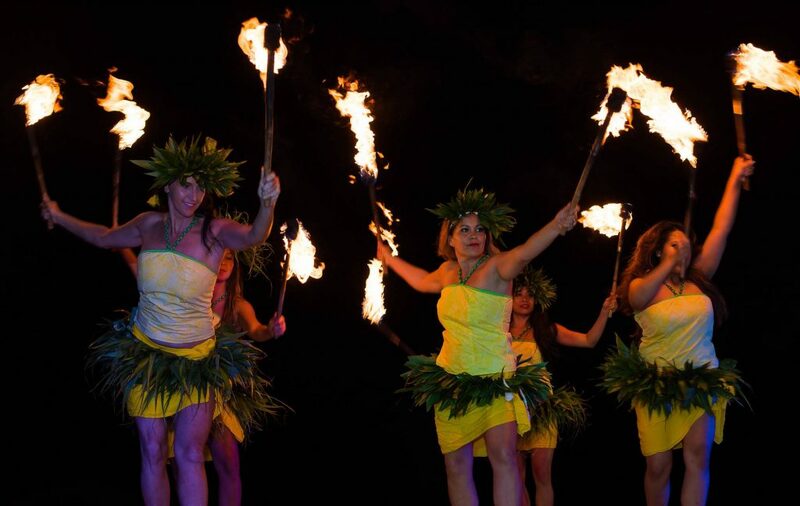 There is a new fire show happening behind the Kilauea Mini Golf at Anaina Hou Community Park on Kauai! This weekly Polynesian ahi lele “fire dancing” show is just a short drive (6 – 10 min) from Honu Point Vacation Rental in Princeville. The performance, featuring the amazing artistry of Coppin Colburn and his `ohana, begins at 7:00 pm every Wednesday evening. The new dining patio allows for the show to go on, rain or shine. Seating is limited so reservations are necessary.